The Library in the picture above was blank, but your Library probably has at least one game in it. Look through the list to find Road Not Taken. In the Properties window, click the tab labeled "UPDATES". This will switch you to the UPDATES tab. 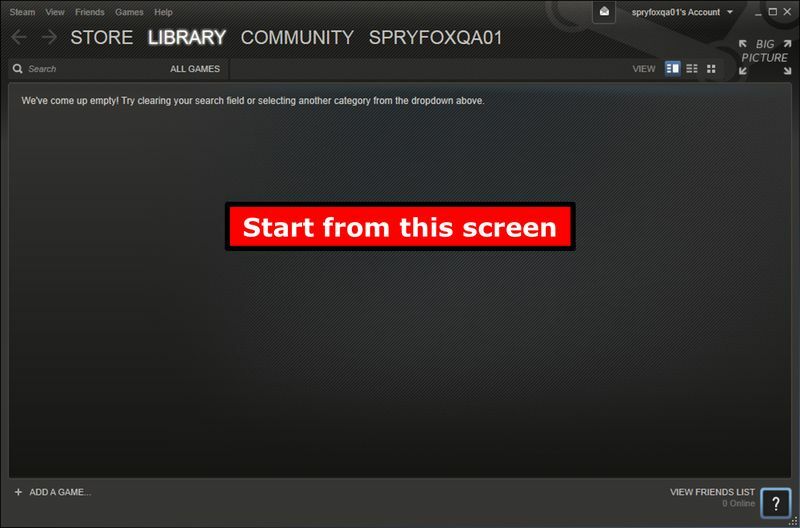 In the section labeled Steam Cloud, uncheck the checkbox to turn off Steam Cloud Synchronization, or check the box to turn it on.